Don't forget to spring forward this weekend! 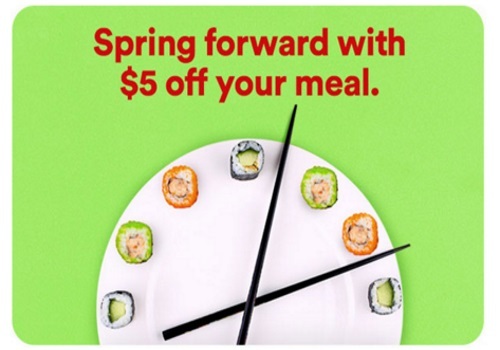 JustEat is offering $5 off your order too which is great! Enter the promo code FORWARD5 to get $5 off. Offer is available this weekend only for credit card orders. Offer is valid March 12-13, 2016.